Welcome to Offshore Marine Services. Ltd.
We are a team of professional licensed yacht captains and dedicated boaters with decades of experience in boating, chartering, delivery and sales. 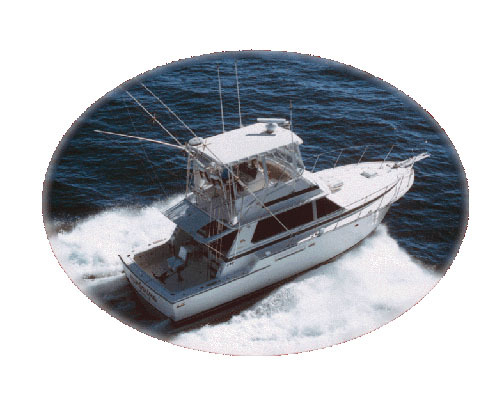 We are dedicated to making your boat buying or selling experience a pleasant and cost effective venture. Let the captains of Offshore Marine Services track down your dream boat. We can locate the vessel that suits your desires and at your price objective. Avoid haggling and disappointments. Let our pros work for you. Get the best boat and the best deal. Let us be your buying agent. Call us today. By letting the captains of Offshore Marine Services market your boat. You will be assured maximum exposure and the best return of your vessel investment. Utilizing international exposure via the internet, a network of hundreds of co-brokers across the country, as well as local and regional print advertising, we will let potential buyers know you are a serious seller. PRICED TO SELL. ALL NEW ELECTRONICS INCLUDING SAT INTERNET, NORTHERN BOAT, NEVER SOUTH, INDOOR WINTER STORED. Less than 700 hours on this New England Cruised Boat. Do The Math. This is the best value on a 57 Bertram. There is no other 57 Bertram like this one!!! Rigged to fish but only lightly family cruised. This is a "One And Only." In 2006 this Bertram was delivered to Roscioli Custom Yachts new from the Bertram factory in a semi-finished state so that it could be completed and finished by the Custom Craftsmen at Roscioli's. The combined talents of South Florida finest craftsman and the direction of the knowledgeable owner have created the "Best 570 Bertram" ever built. Click the "full specs" button to get the whole story. Call the listing broker who was with the boat for her entire build to get the full story.